Balboa Park, San Diego Museum of Natural History. 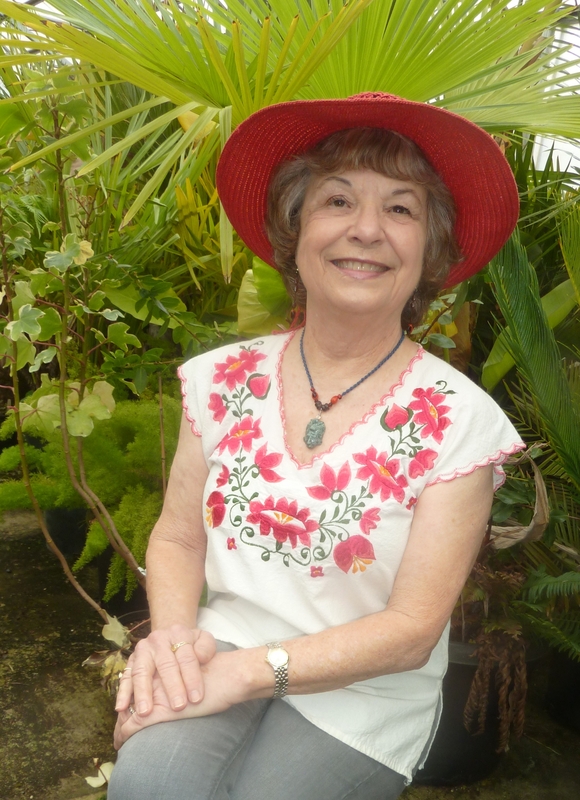 While in San Diego for the holidays in December, 2016, I spent a mesmerizing afternoon in the Maya Exhibit at the Museum of Natural History, Balboa Park. 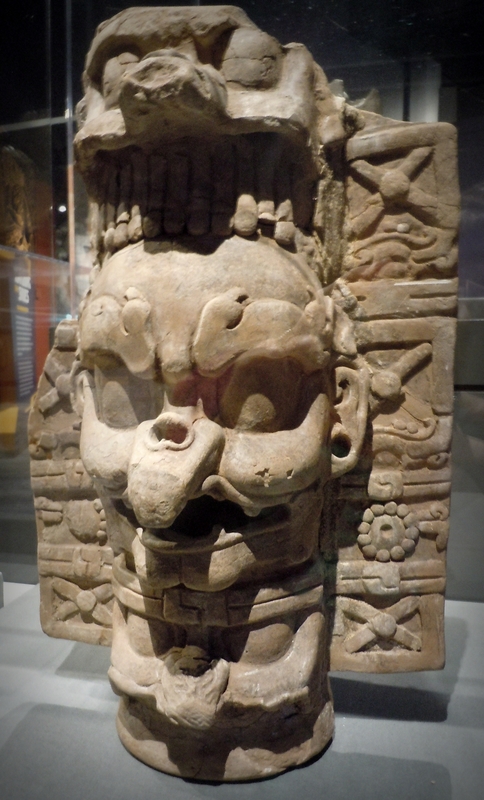 This wonderful display of Maya monuments, ceramics, and art had many original pieces on loan from other institutions, as well as reproductions of murals and larger monuments. In this blogpost, I’ll focus on ceramics, adornment and artwork. were used as grave offerings in the tombs of their owners. 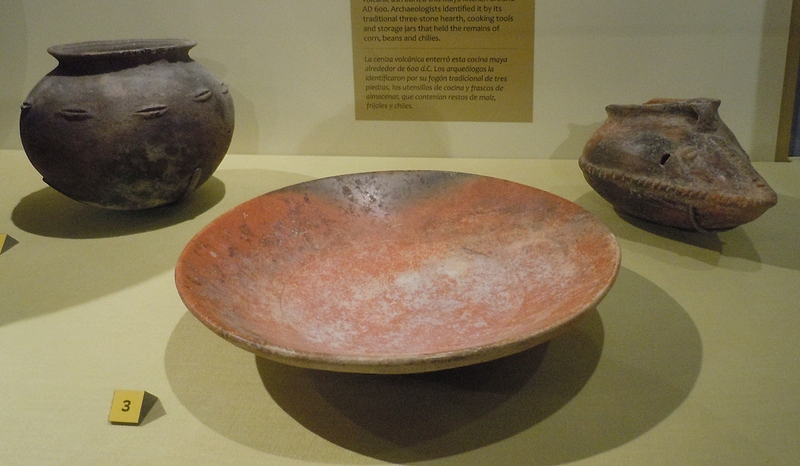 Simpler and more utilitarian vessels were used by commoners. 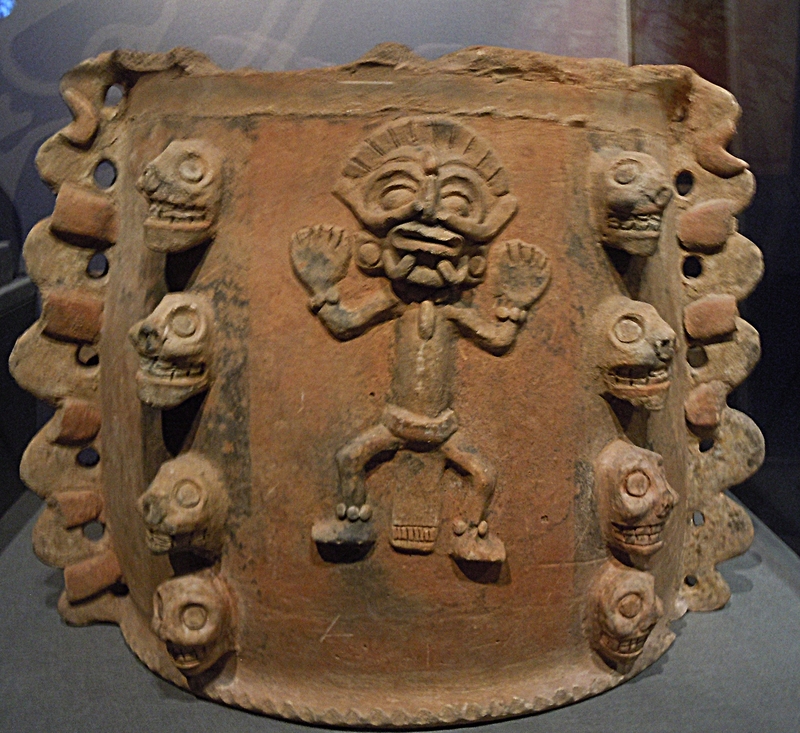 To produce pottery, the Mayas used a device that rotated between the potters’ feet, called a kabal. 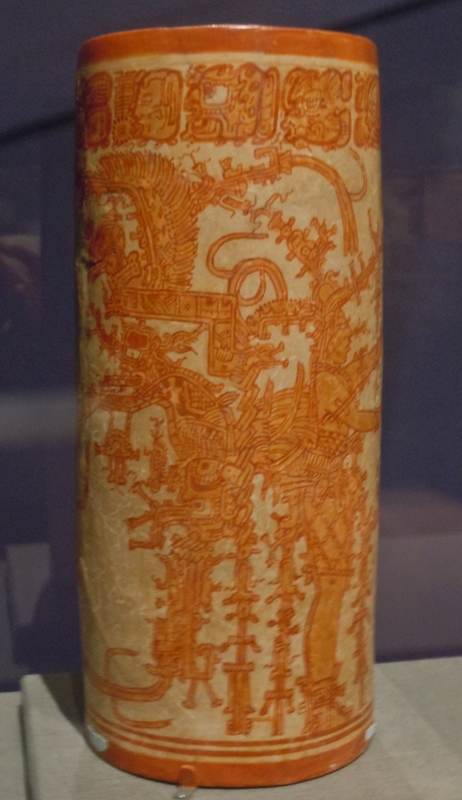 An early ceramic style, called Amyan, appeared in the Guatemalan highlands around 1,000 BCE. It was monochrome with simple design. 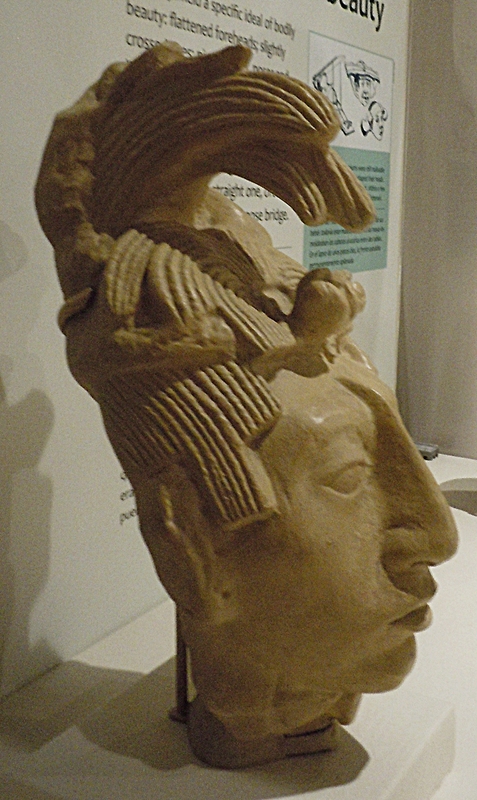 Originally the Mayas used gourds cut into cup and bowl shapes, and the first ceramics resembled gourds. These were decorated with rocker stamps and simple slips for color. By the Early Classic (250-550 CE) the ceramic style Tzakol developed with more complex jars, plates, bowls and vases having polychrome decorations. 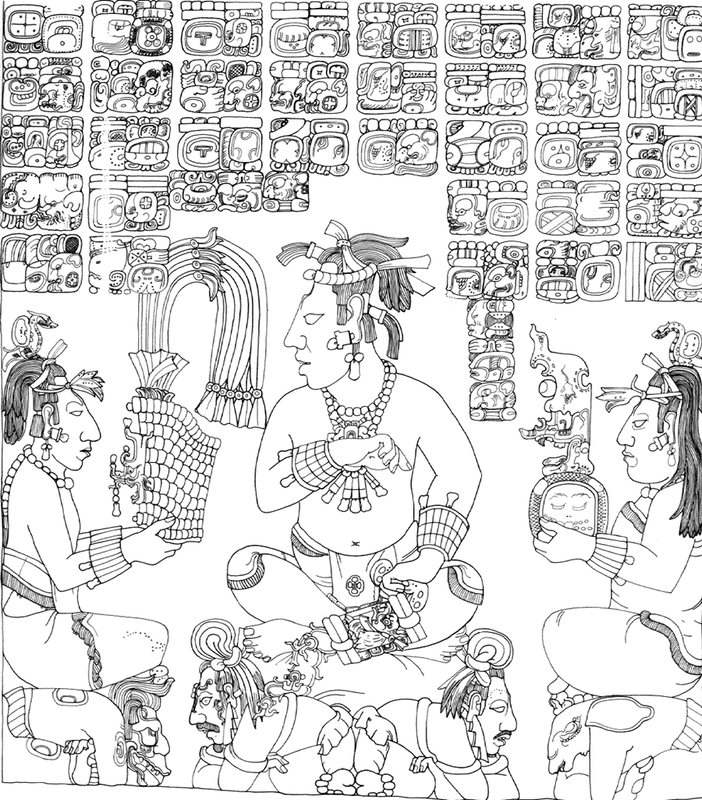 This style evolved into Tepeu of the Late Classic (550-700 CE) with more elaborate scenes and color variations. 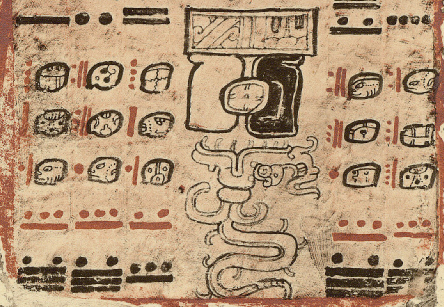 The polychrome slip paint was of various colors, made from plant and mineral sources. 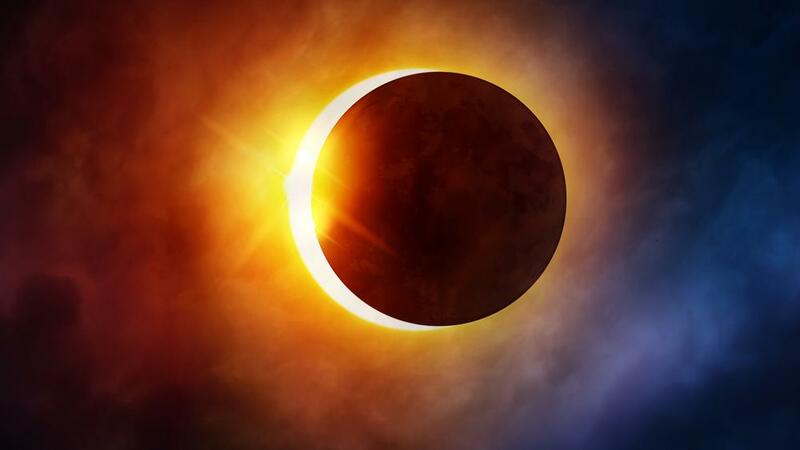 Predominant colors are red, orange, black, brown, yellow and cream. 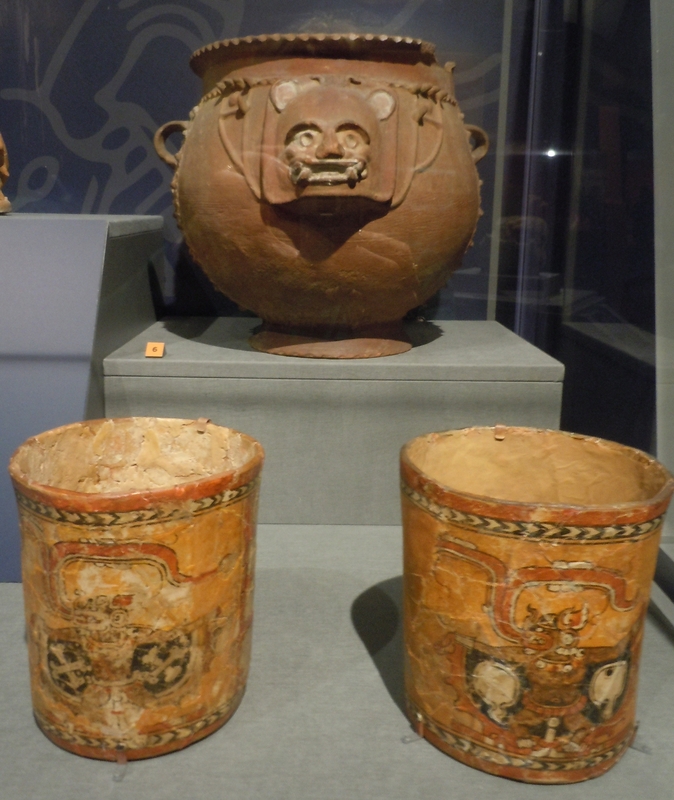 These two ceramic styles are considered the most beautiful made in ancient Mesoamerica, primarily depicting animal deities, grotesque monsters, nobles and priests, ceremonial activities, and scenes of sacrifice. 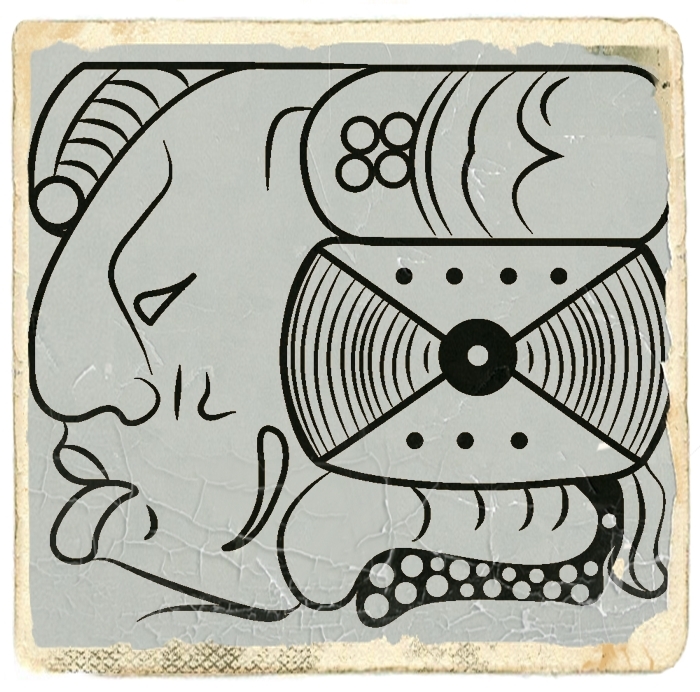 New shapes were developed, including the lidded basal flange bowl, which usually had a knob on top in the form of an animal or human head. The painted body of this being often spreads across the pot. Many also had tetrapod legs for support, called “mammiform” since they resembled animal or human legs. edges of the vessels. 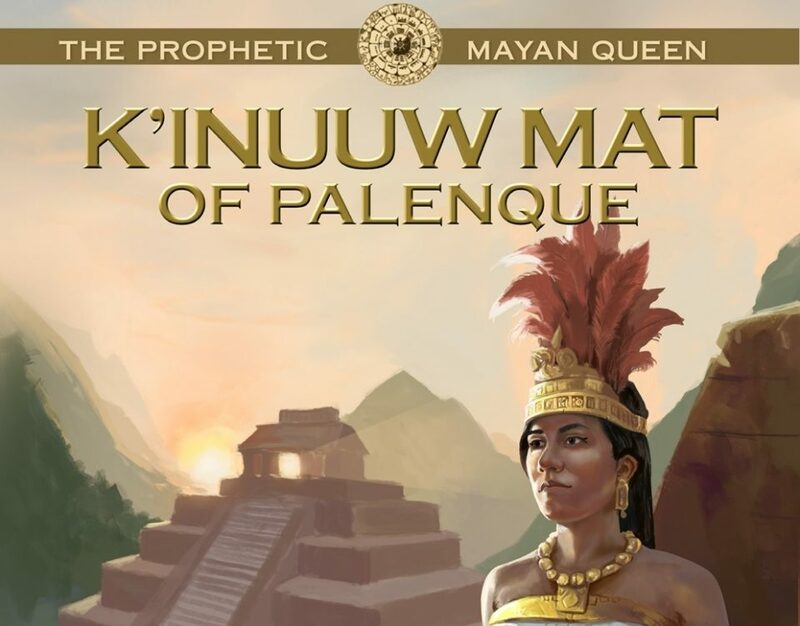 This gives them a resemblance to the post-Classic Maya Codex texts. 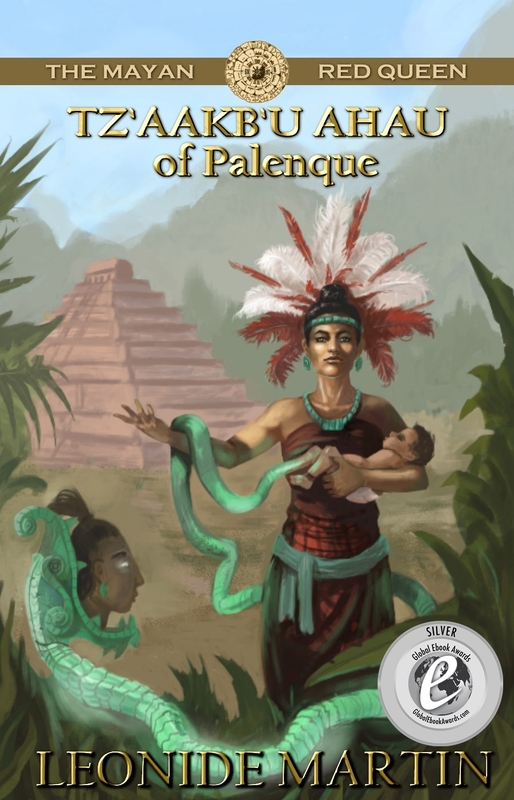 This fine painted Codex-style pottery depicts extraordinary mythological scenes, and is highly sought by antiquities collectors, accounting for extensive looting of house mound complexes in Peten. 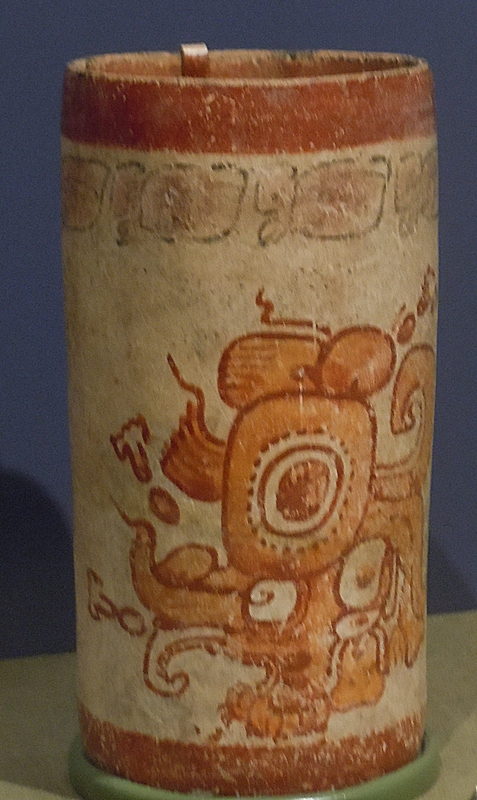 In ancient times, these ceramics were in demand by elites, and have been found throughout the Maya regions. 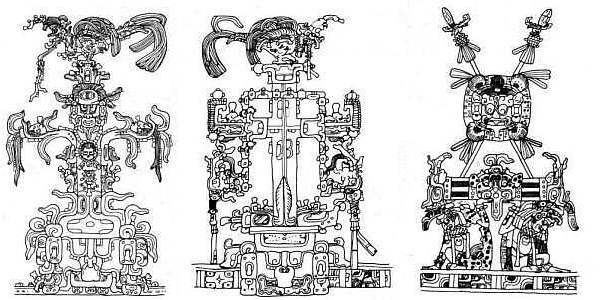 The Mayas created many small figurines, busts and effigies that represented deities, specific individuals, symbolic monsters or creatures, or roles in society. 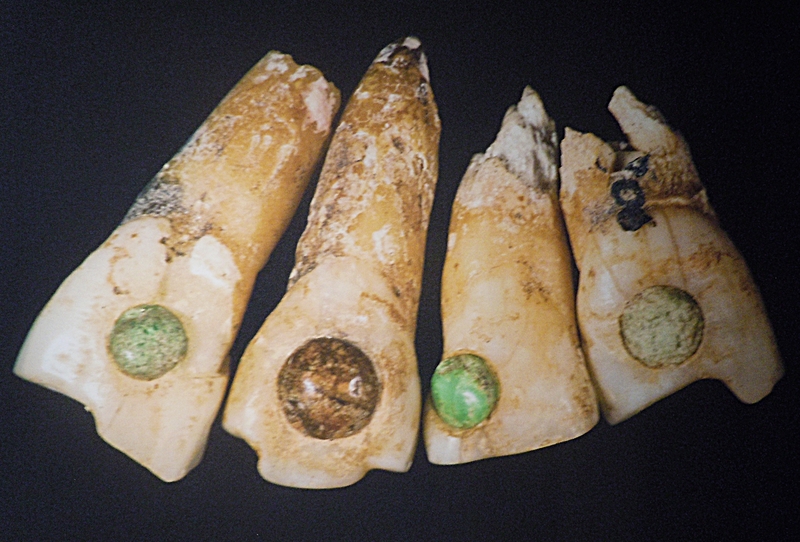 Materials used to create them include clay, limestone, sandstone, trachyte, wood, jade, bone, shell, and copper. Very few artifacts were made of gold. 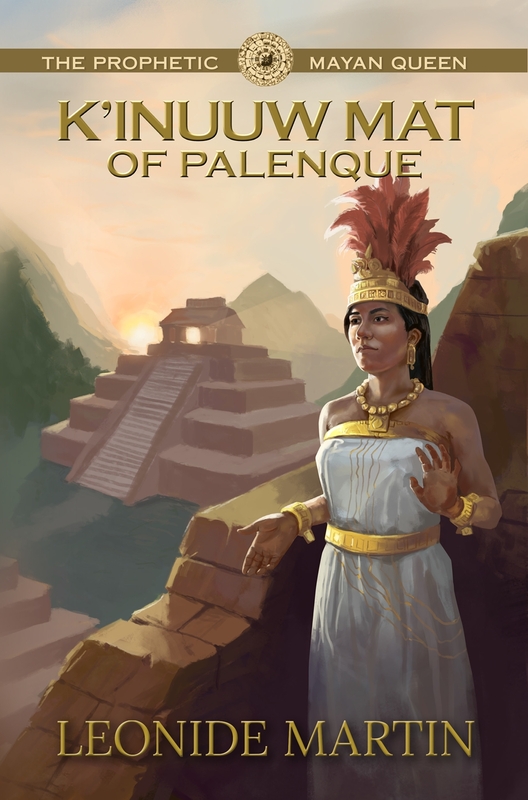 As these often depict typical activities of ancient Maya life, archaeologists have learned much about costumes, musical instruments, religious rituals, household customs, ballgames, warfare and sacrifice. 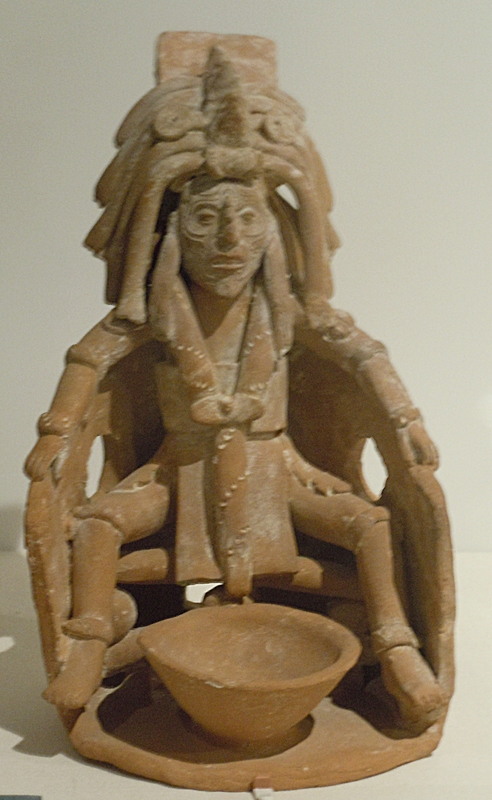 Among the most well known figurines are those from Jaina, an island off the coast of Campeche, Mexico, used for elite burials. Figurines were painted with the usual plant and mineral pigments. 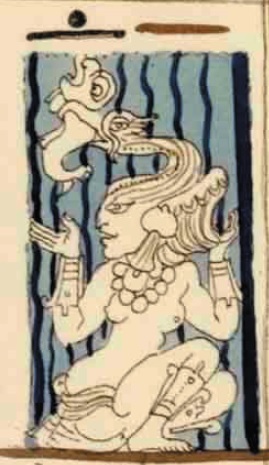 A unique shade of blue appears on some figurines, and in many murals and codices. Called “Maya blue,” it is the most durable Maya color and has only recently been reproduced. 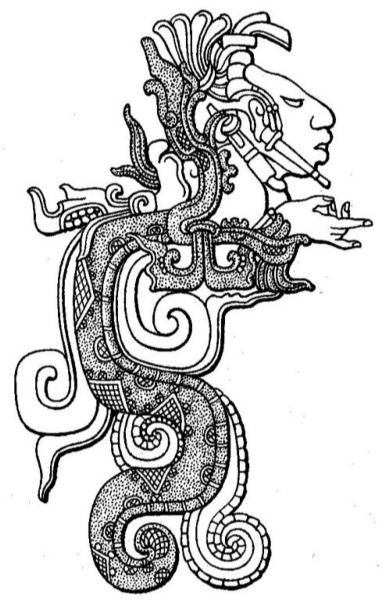 The ancient Mayas combined skills in organic chemistry and mineralogy in their technique for creating Maya blue. The pigment is a composite of organic and inorganic constituents, primarily indigo dyes derived from the leaves of the anil (Indigofera) plant, combined with palygorskite, a natural clay. The mix is cooked at low temperature (100 degrees C) until its color turns from blackish to this exquisite sky blue. 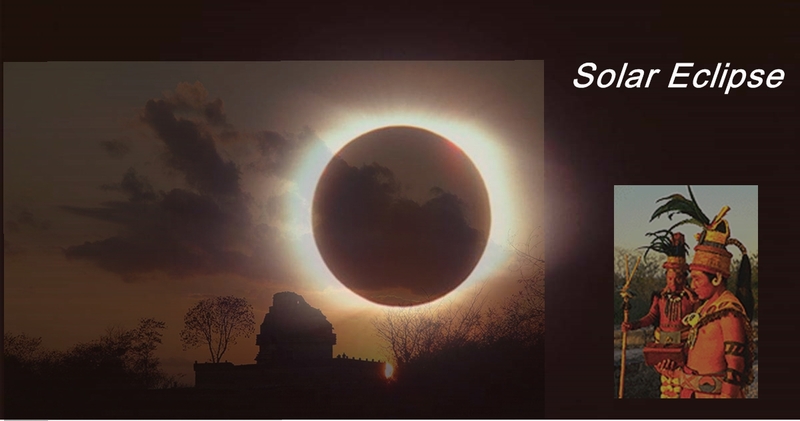 Other trace elements are present, including copal incense, leading to the idea that producing Maya blue was a sacred process. 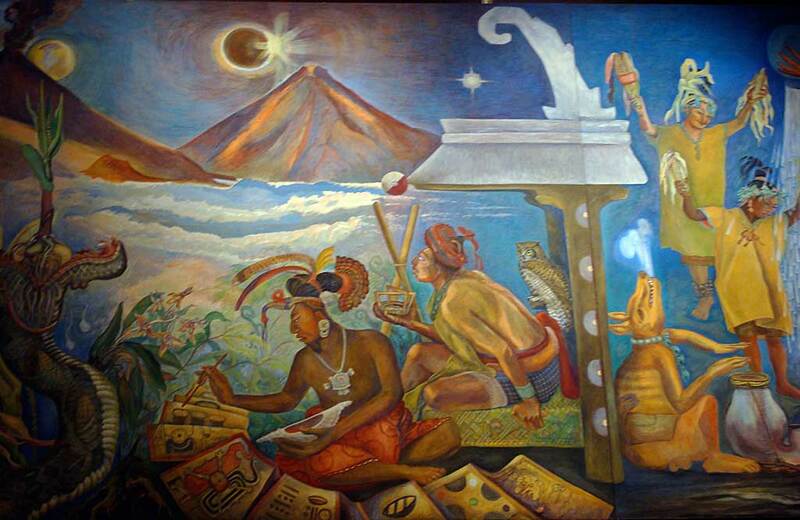 Copal, resin of a native tree, is dried into incense and burned in symbolic “incensarios” during ceremonies. 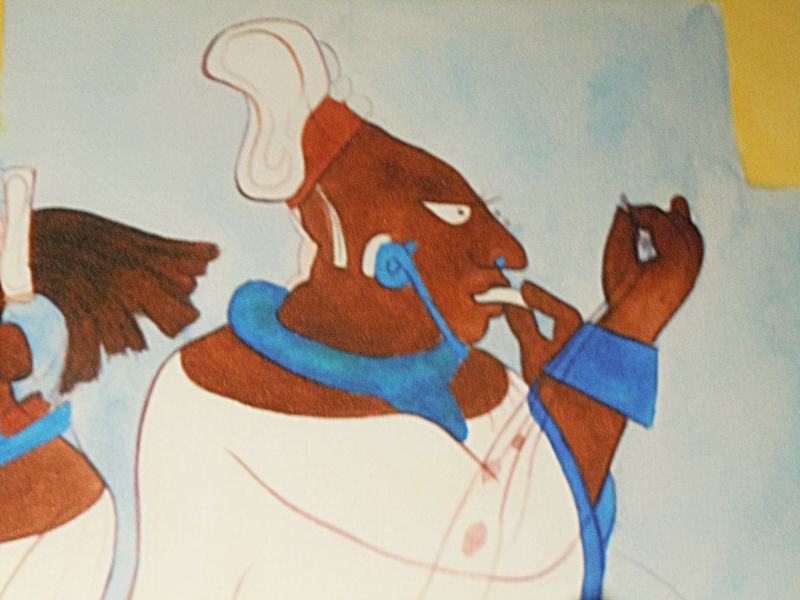 Using copal in making Maya blue produces the low heat necessary, and imbues the pigment with sacred qualities. 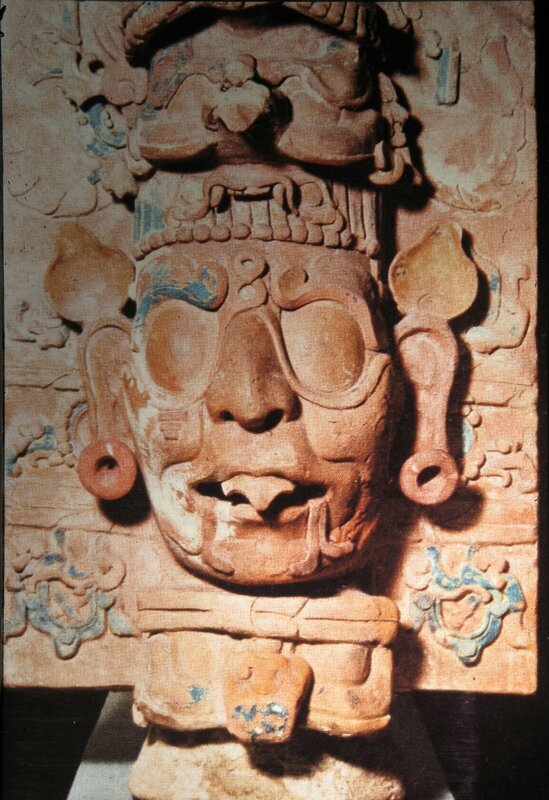 Body adornment was very important to ancient Mayas. 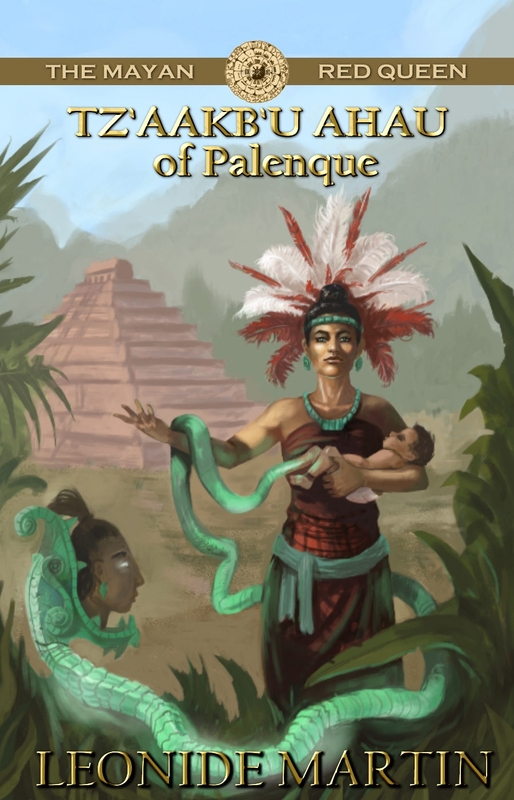 They dressed in lavish costumes, wore huge and heavy jewelry, wore complex headdresses with feathers and decorations, had earplugs that needed a balance weight behind, and often embedded gems in their teeth. Facial scarification was also used along with body painting. 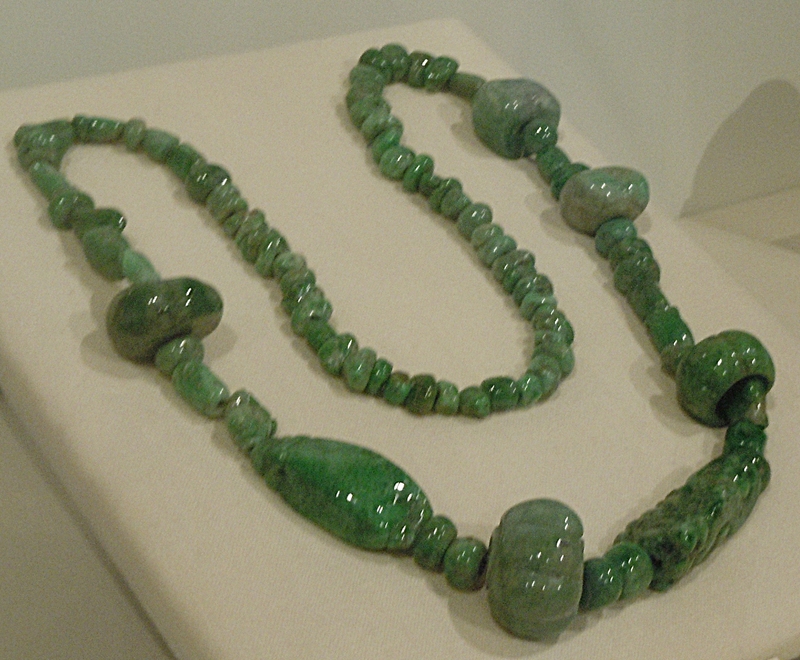 The Mayas excelled in working with jade, which was highly prized, as it represented the green vibrancy of new plants and the azure of water. 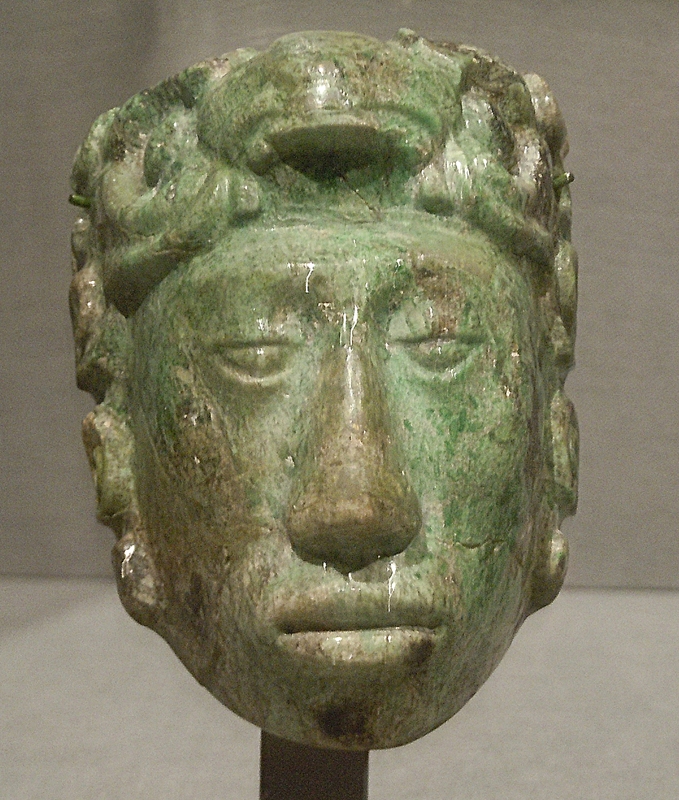 Excavations of tombs have yielded large amounts of jade jewelry, mosaics, masks, effigies, plaques and small figures. 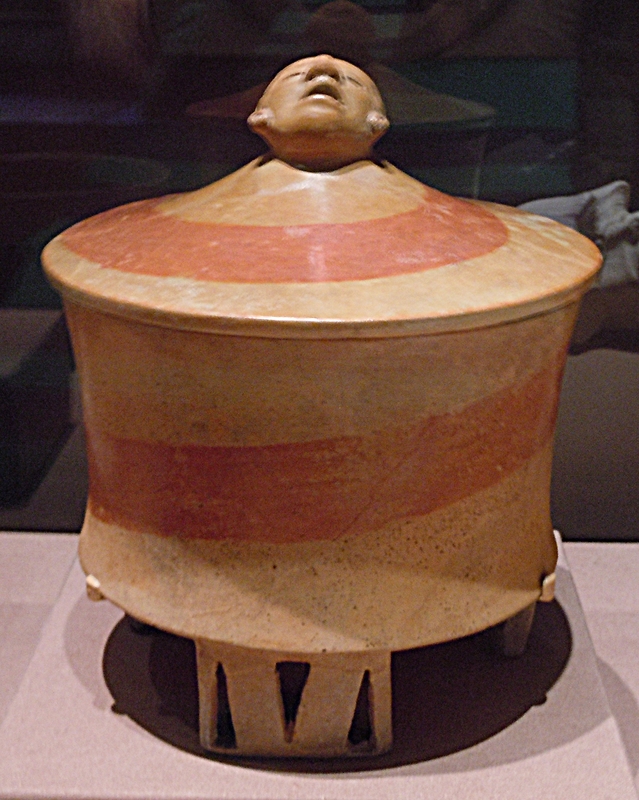 Royal burials rich in these items have been found in several Maya sites, particularly Palenque, El Peru-Waka, and Tonina. 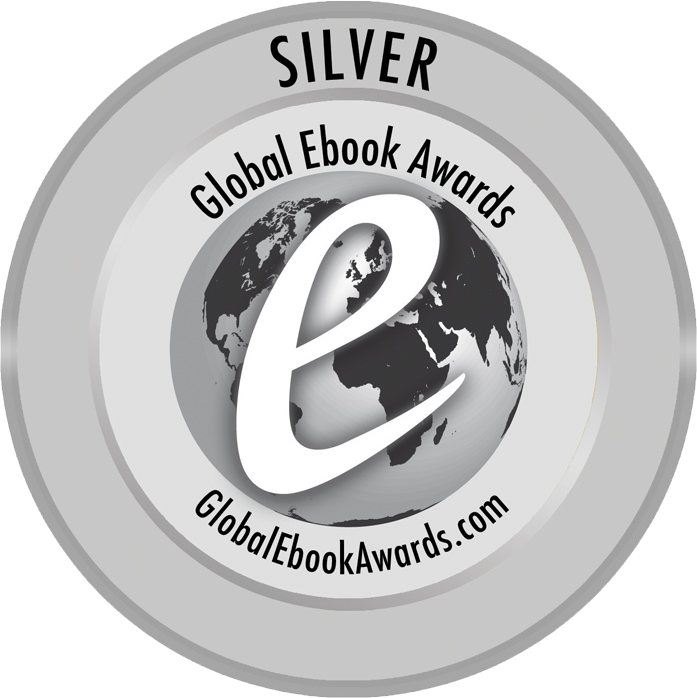 Metal work did not make a significant appearance until after 900 CE, the Post-Classic Period. 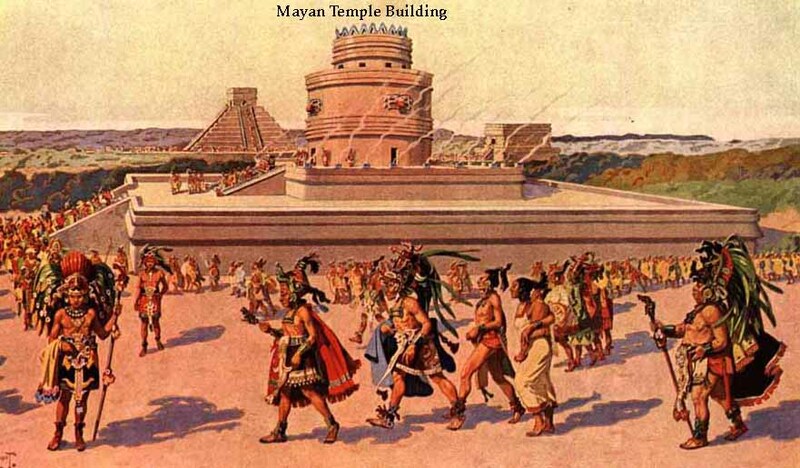 The Mayas mostly worked in copper, with a small amount of gold appearing as bowls, cups, rings, and effigies. Other items made from copper include bells, tweezers, axes, earplugs, rings, discs, and small masks.